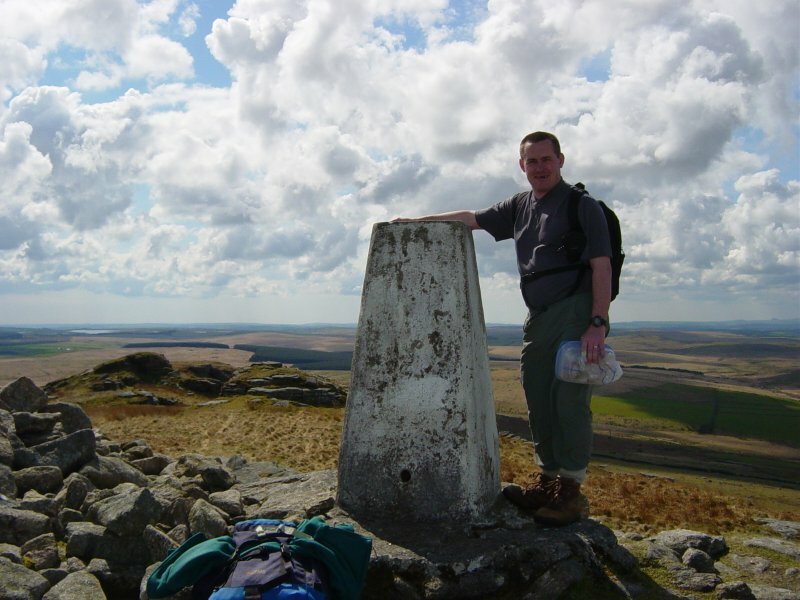 There are 61 photos for this trigpoint (view album). Visited with P61 and Brunshaw, another fantastic summit. 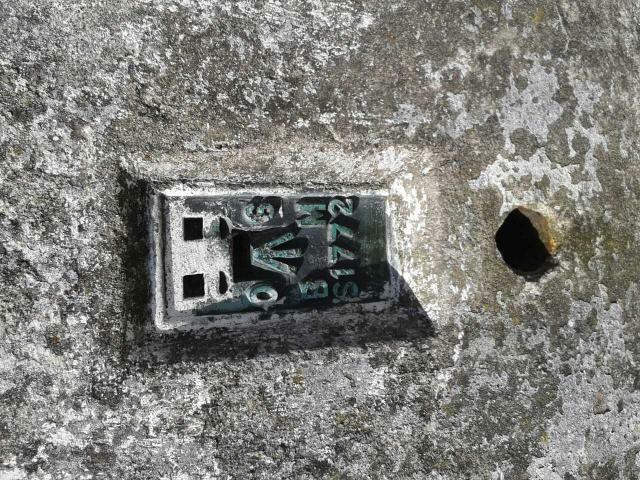 Great views here trig in vgc another marilyn bagged. Fine views on a hot and sunny afternoon. 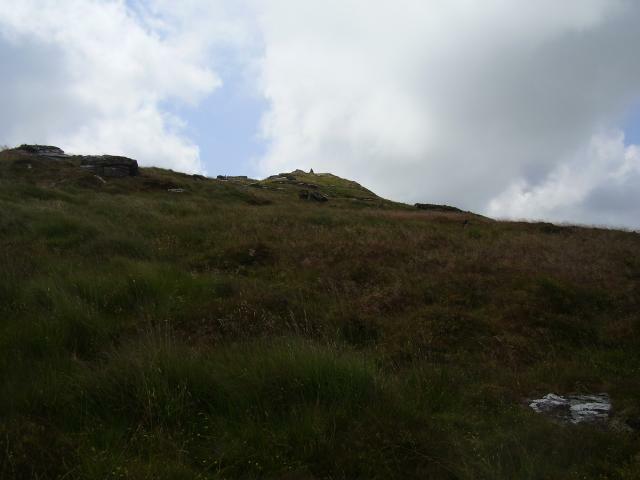 Parked at Rough Tor car park, easily found along good paths. Misty at start of walk slowly disappearing, strong breeze on top. Brilliant views. 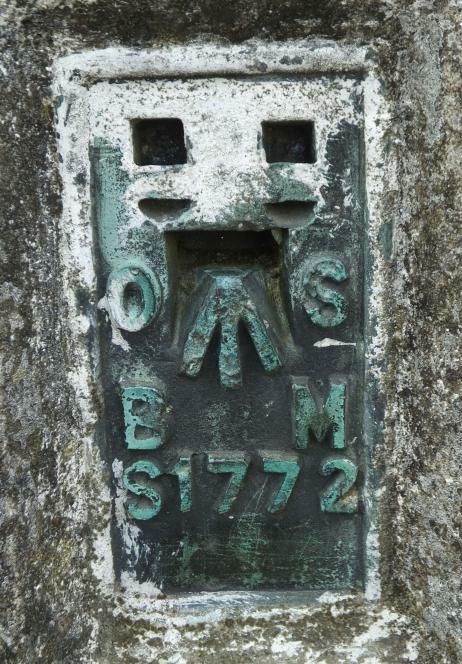 Number 84 of the 91 historic county tops. 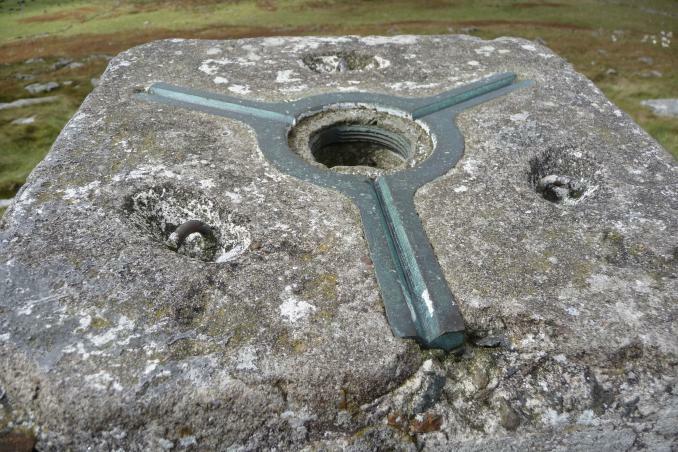 Continued in a large loop, which included the source of the River Fowey amongst other things. 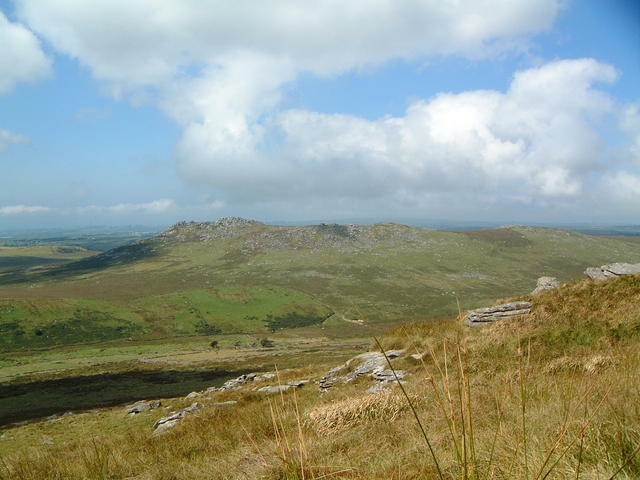 From Rough Tor car park. superb day, the last day of drought before weather broke? Damaged ceramic cap. Breeze and mist. Marilyn frenzy! 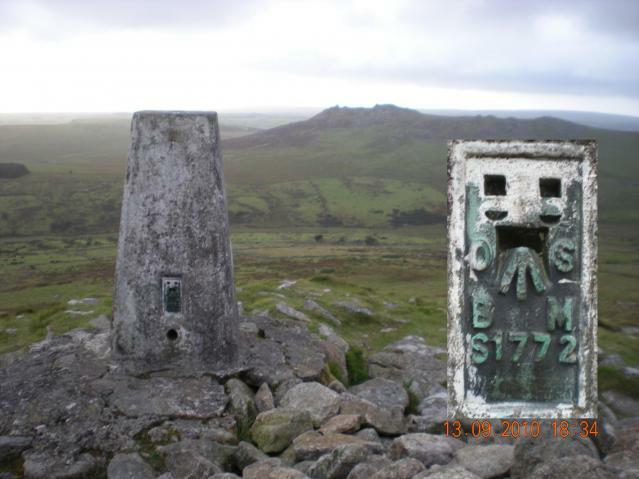 Accessed via the saddle N of Rough Tor which has a good track up from the CP to the NW. 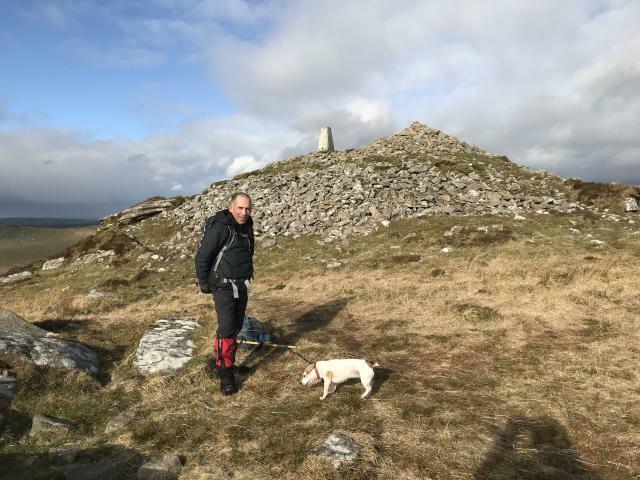 Many small animal tracks then led to the summit and I was pleasantly surprised by the relatively easy going via Maiden Tor over what I thought would be ankle-twisting tussocks. Not so. Not easy, but very manageable. 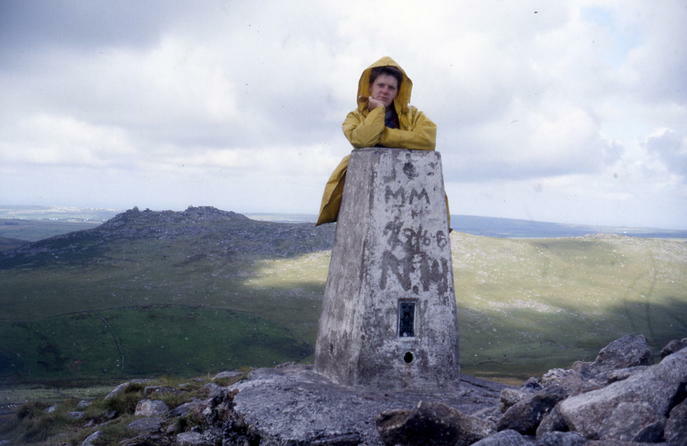 Persistent and nagging so'westerly was at its strongest at the summit, which is impressive. Good views all round. 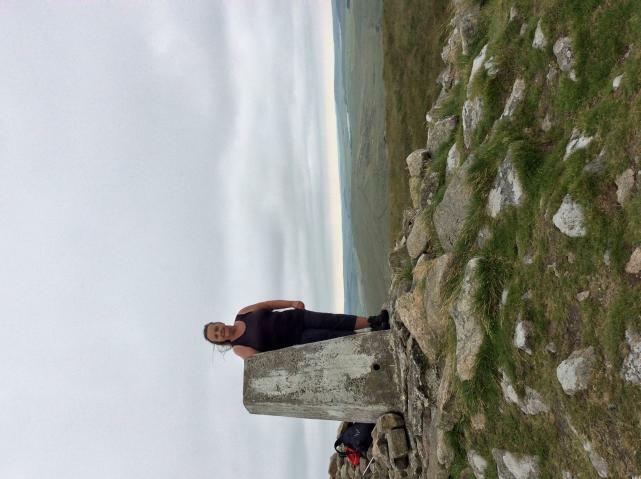 Third County Top this Summer! 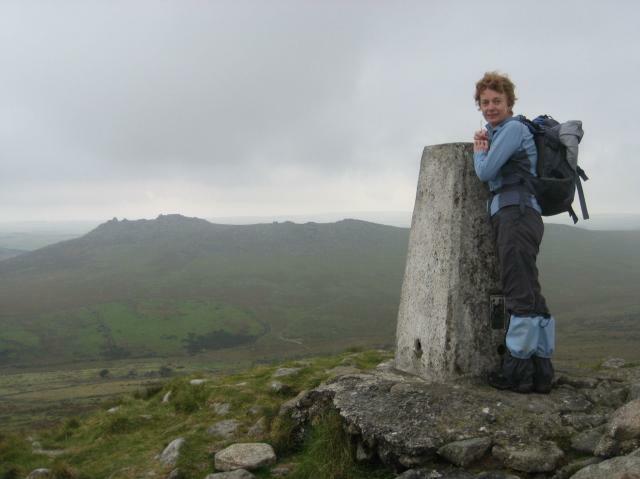 Splendid walk via Showery Tor, Little Rough Tor and Rough Tor. Feels a lot more remote than you might expect for Cornwall (especially coming from Glasgow and access to all the Highlands). Excellent spot. 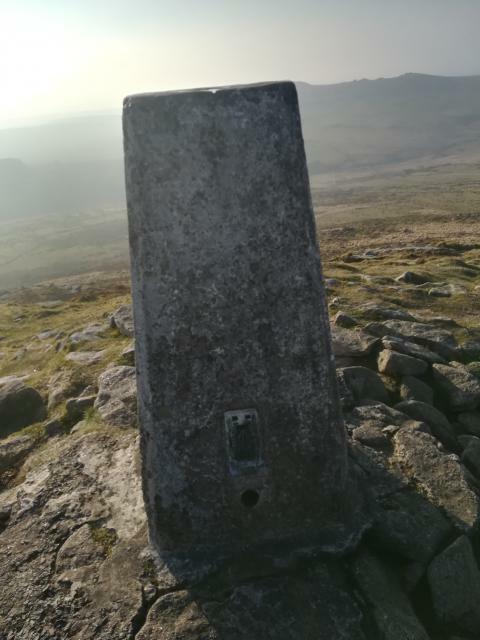 Lovely day for a lovely trig. 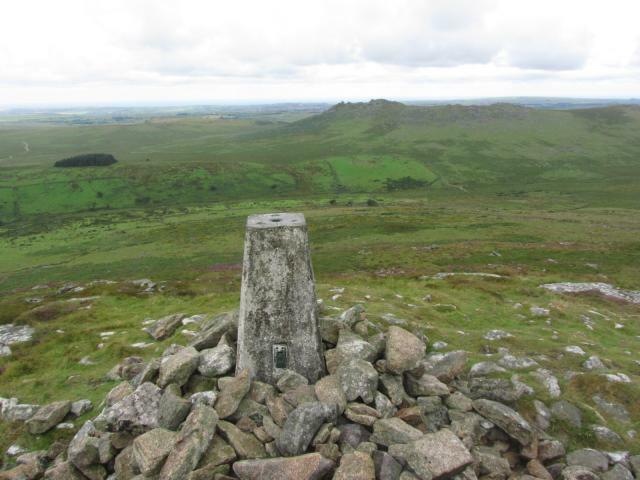 Walked up over Rough Tor from the car park and then up the permissive path. Lots of friendly people about. 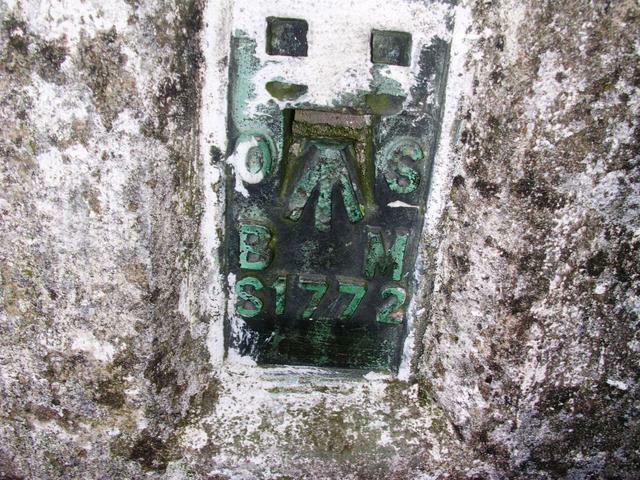 Also lots of grumpy signs about sticking to the path for what is marked on the OS as access land! 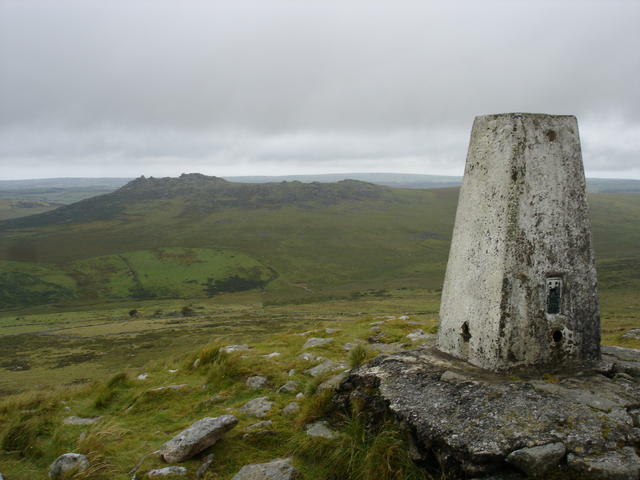 A morning walk via Showery Tor and Rough Tor but yet another wet morning and hill cloud on Rough Tor. At least it clear by the time I'd reached Brown Willy. Despite it being cloudy both the Atlantic and English Channel could be seen as well as Lundy. 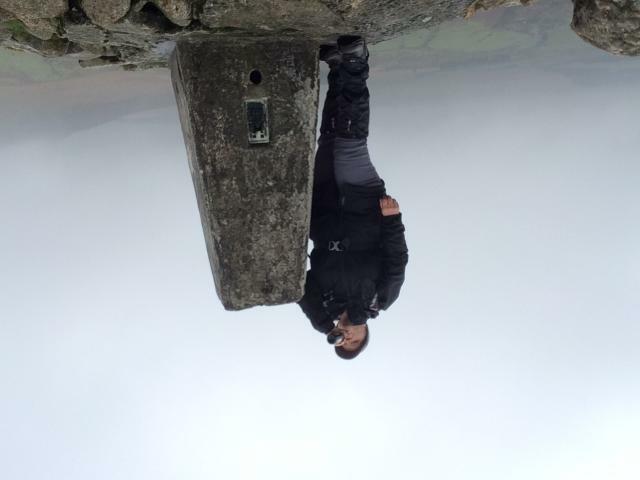 Out bagging a High point for my UK list. I want to see how many I can bag before I reach 65. I'm 58 so I've a few years to go yet. 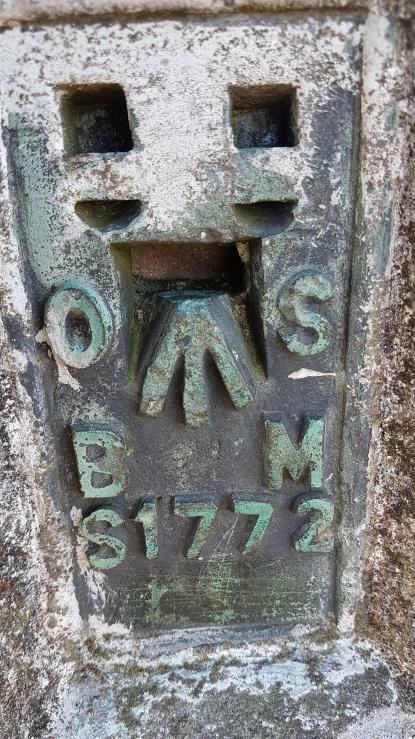 Bagged a couple of Geocaches on route.. 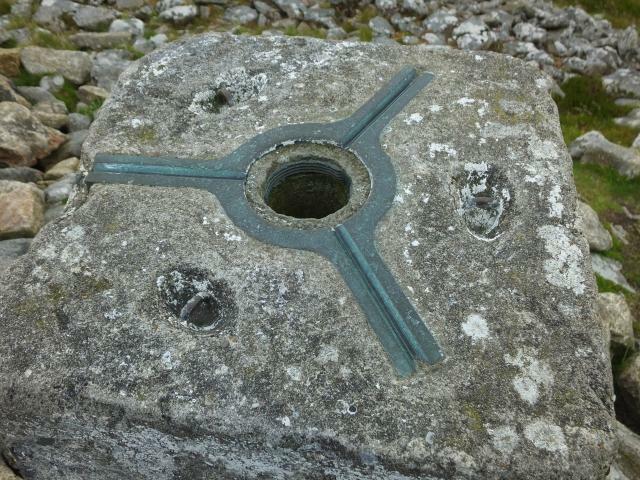 In my sights A split in a rock lines up with the Trig. 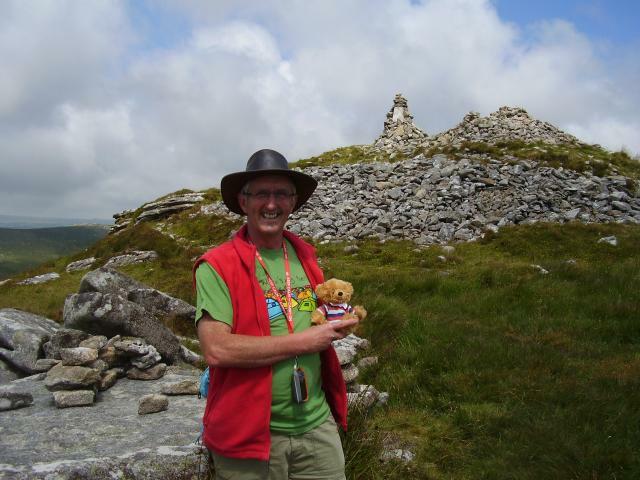 A lot more to go H4H Bear and his owner visit Cornwall's highest point in a quest to see how many high points can be visited before the age of 65. Awesome place, view and scenery. 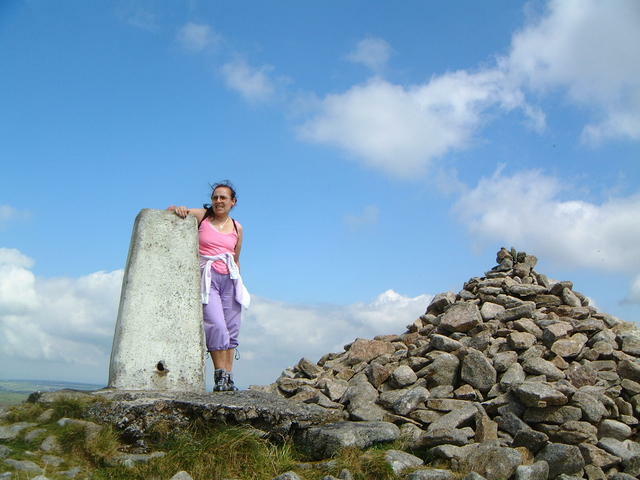 I'd recommend this one, as I thoroughly enjoyed the walk up here! 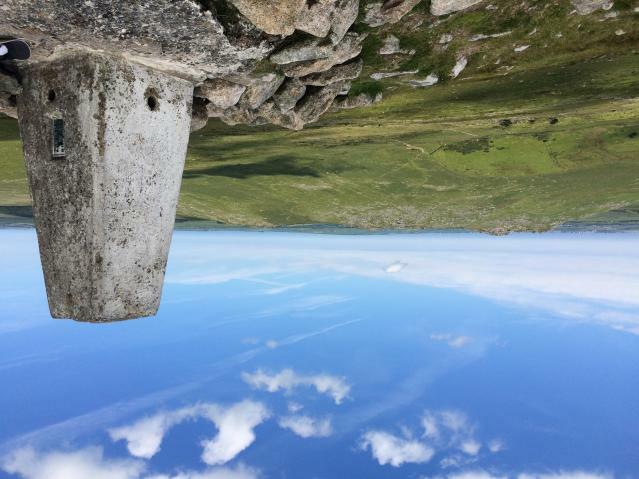 Lovely walk from Rough Tor via Logan Rock on Louden Hill - it rocks - King Arthur's Hall and Garrow. School party ensconced around pillar, had to ask them to move so I could see FB! Oh Brown willy! How beautiful you were today...bogdodger, I'm 50 mins behind you, but I prophesy that we will be climbing Kit Hill together! Onwards from Widewalls. 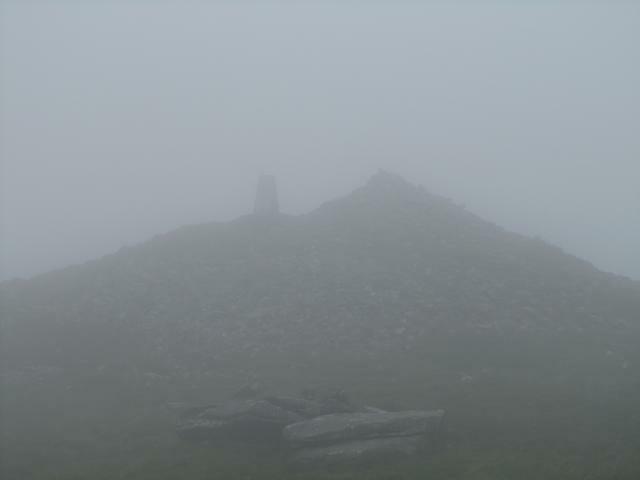 Weather deteriorated radically as we sat on Roughtor having lunch so were very grateful for GPS to get us across to here in a howling gale, heavy rain and zero vis. 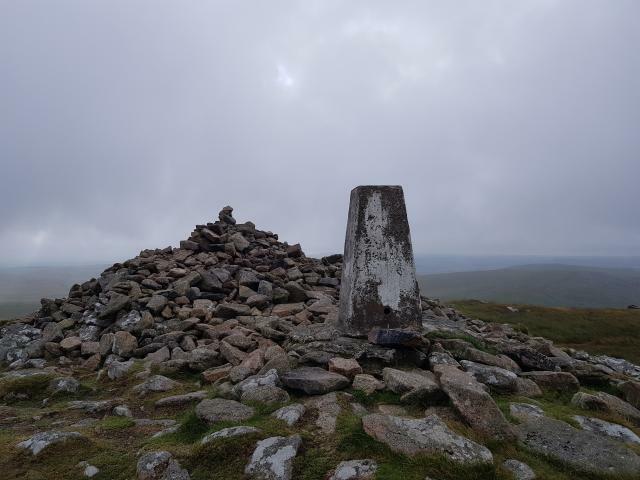 Surprisingly the cloud lifted as we reached the trig revealing stunning views although hanging on to the trig for dear life in the gale. Very good permissive path to Garrow and back to Churchtown. All s/h and centre open but otherwise vgc. 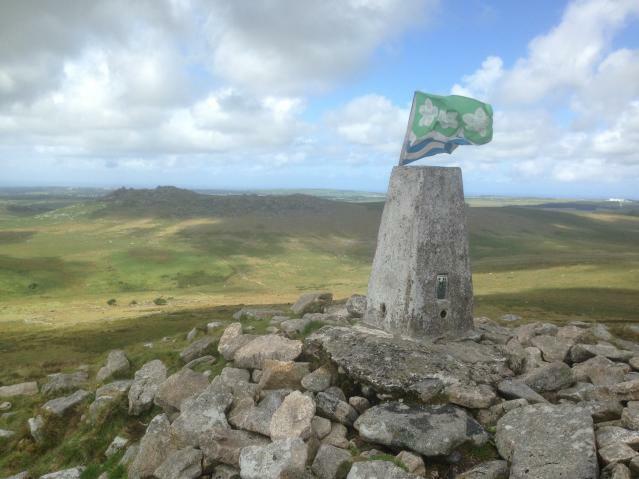 In cornwall for the week, so had to visit the highest point in Cornwall. The walk taking it in was a nine mile walk, unfortunately bit of a mess up as discovered on arriving at Rough Tor Car Park that we had left camera in holiday cottage !!!! Great place to be and I had wonderful weather for this straightforward walk from the cr park to the north east. It was a special day for me as this was my last County Top in England and Wales. 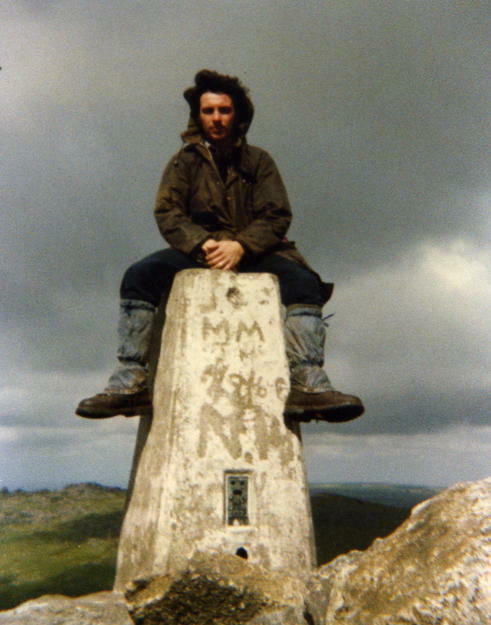 The trig point provided a good place to rest the camers for portaits on top of Brown Willy. 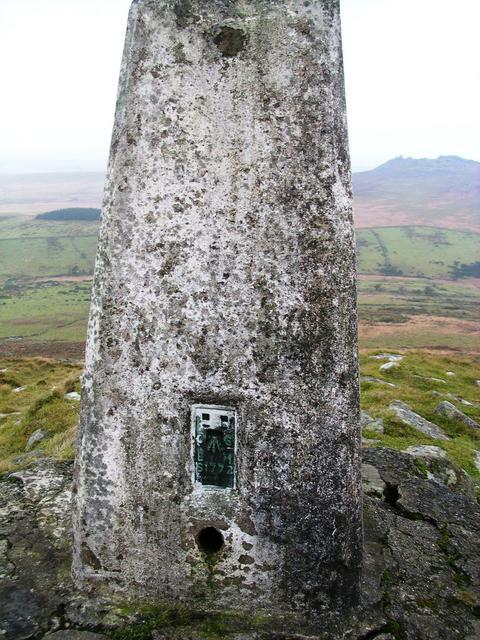 9 mile walk to bag Cornwalls county top, bagged the trig on Brown Willy and the bagged the hill next door Rough Tor. Lovely hot and sunny day. 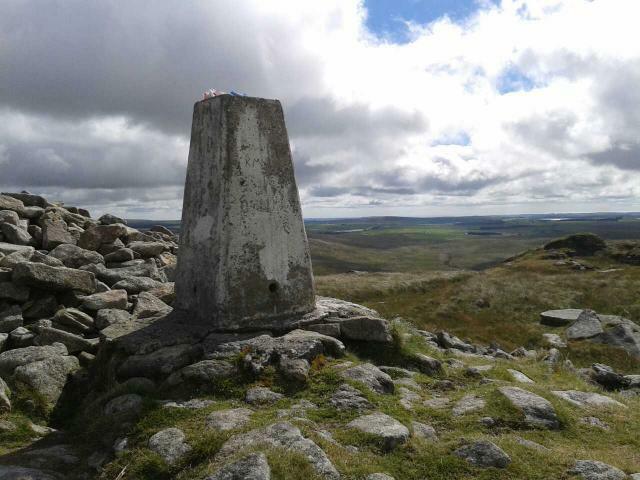 Great day and views from the top. 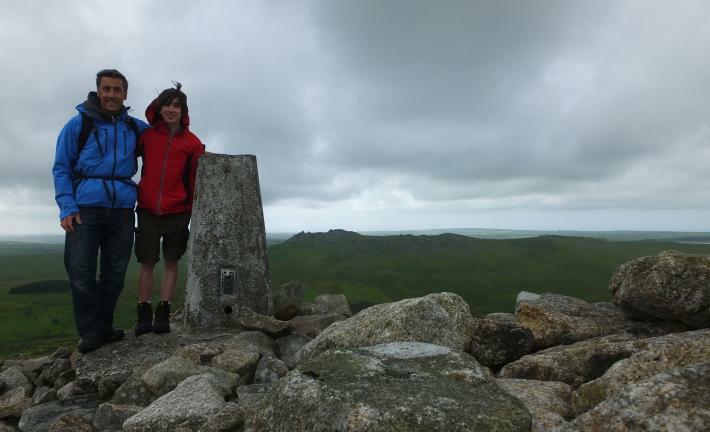 Excellent summit,not what you expect of cornwall....rough tor was also great. 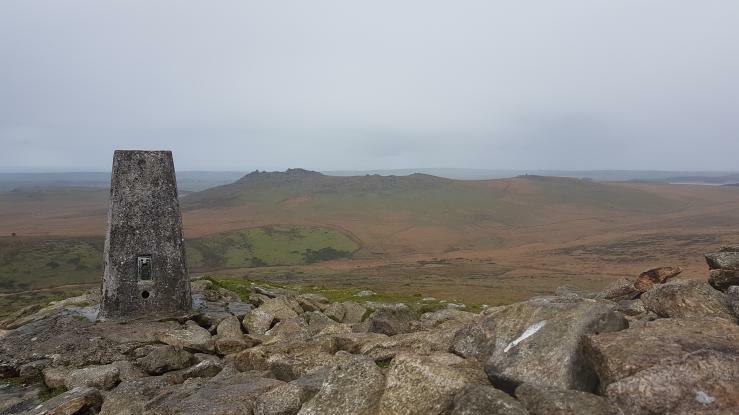 Shame the view was rather spoiled by the low cloud but it provided some fun navigation over Rough Tor to get to the summit. The extra breezy conditions cleared the cloud a bit on the way back so we got some views and we were largely dry. With Shorty & Extra Shorty. 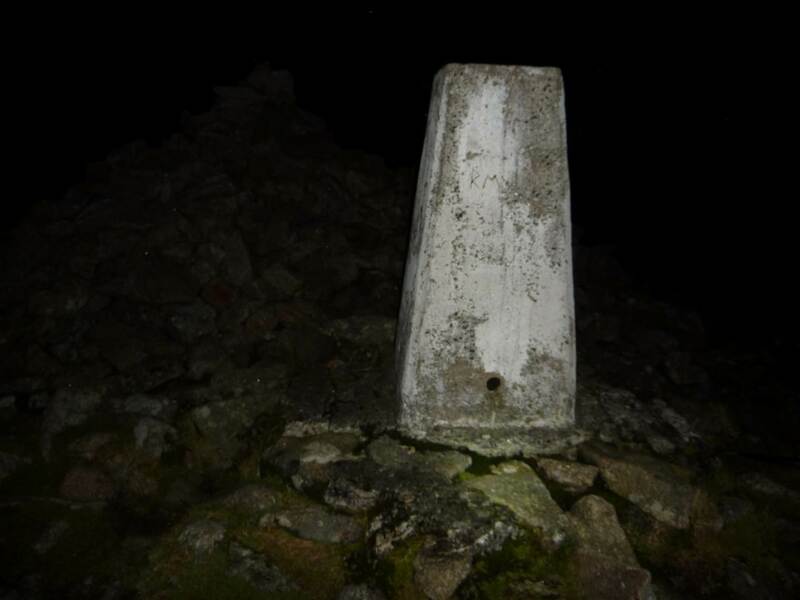 well it was all but dark by the time we summited.. so xant say a lot about the view. 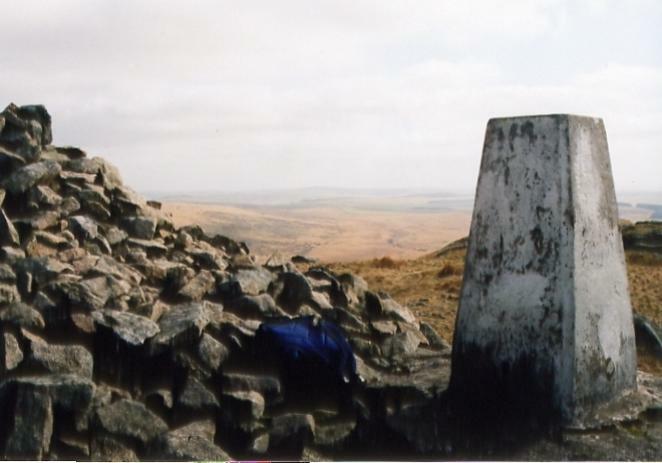 rocky summit trig a bit weathered. 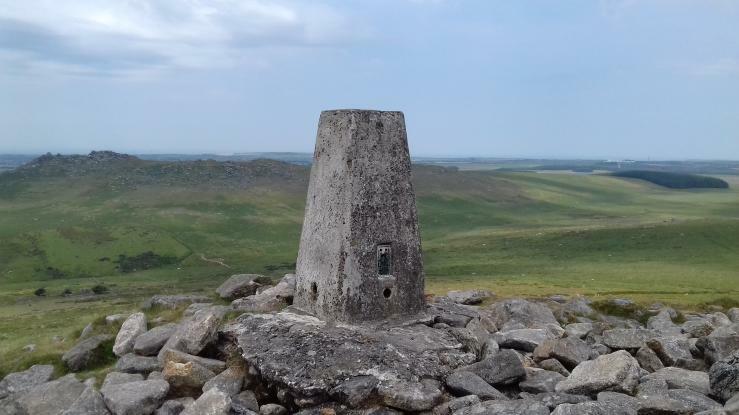 Visited whilst geocaching on the moors, County high point. 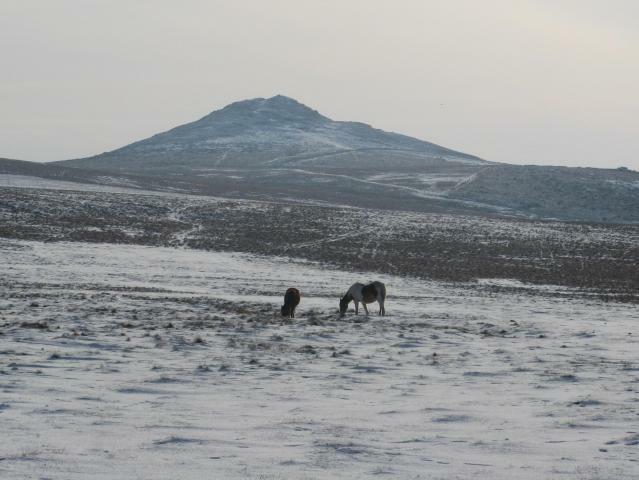 Brown Willy Was as cold as it looks, very severe wind-chill, but nothing to these hardy little fellahs! 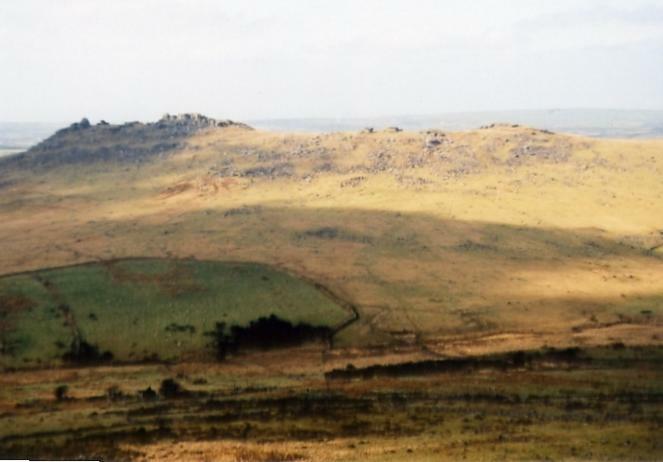 Brown Willy TP and view to Rough Tor (Rowtor to the locals). Brown Willy Location, no cap. 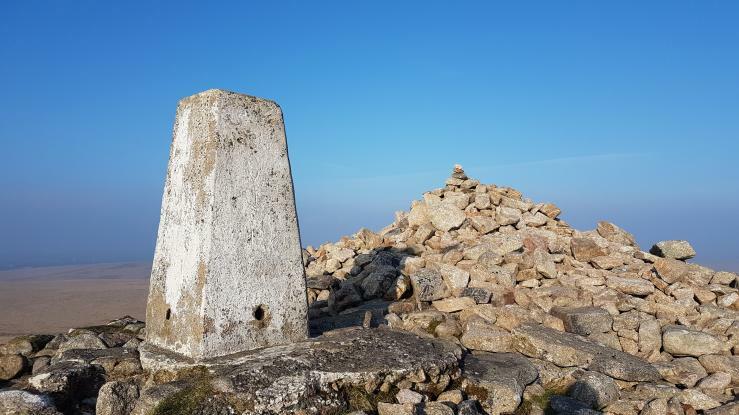 Parked at Codda - and made my way over approx 2 miles over to the summit - fairly tough walk with no real path to follow lots of rocks, gorse, peat, and tufty grass making the going hard. 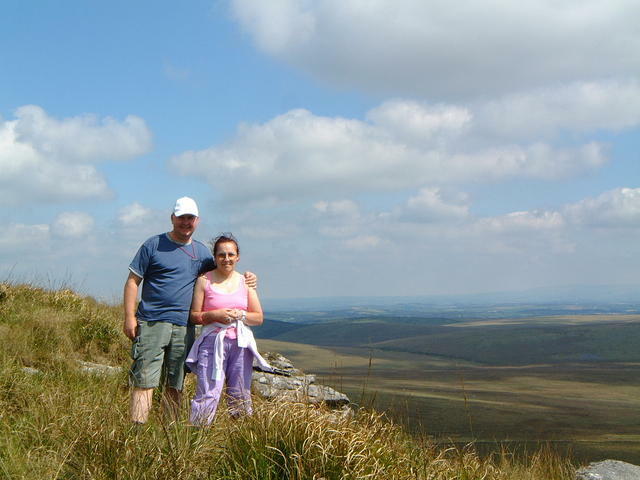 great peek all worth it when you get there - county top too!. Pillar good condition amazing views. 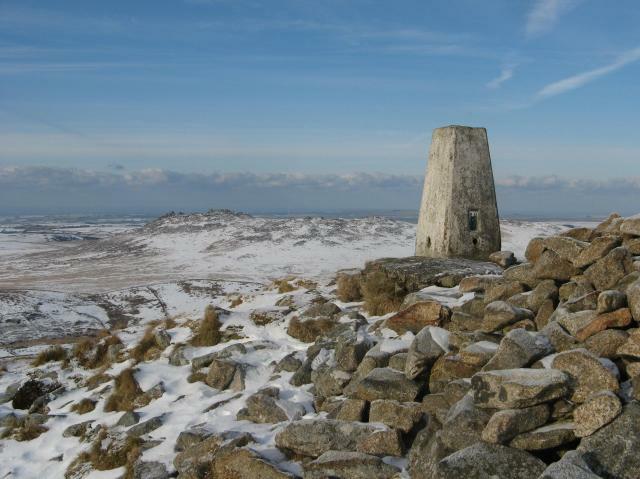 A beautiful day for a walk on the moor but very few people around. 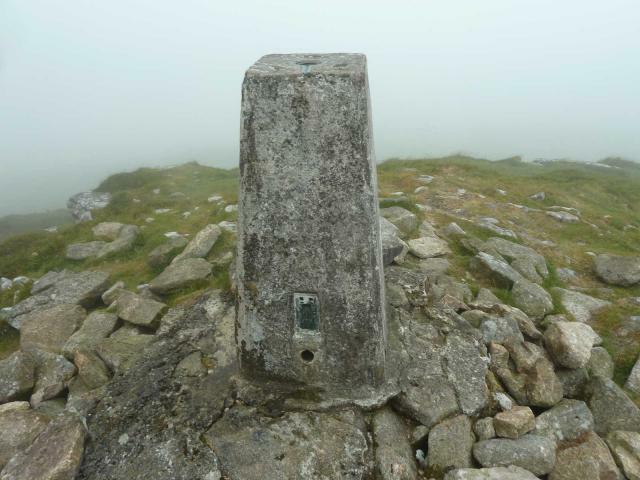 Fantastic views but too hazy to make out the coast from the trig. 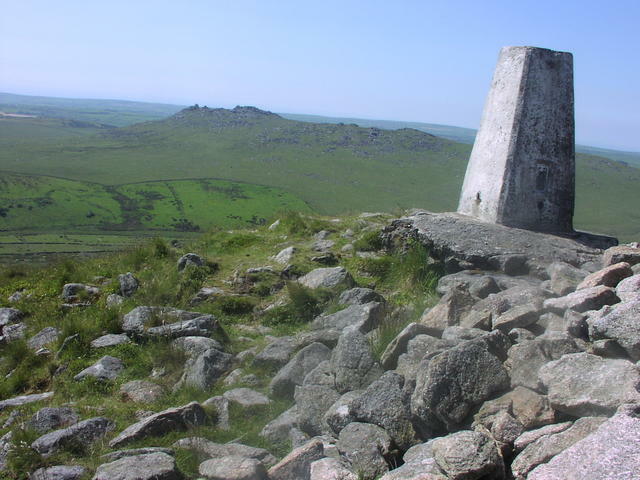 High point of Kernow as the locals would have you call it - Cornwall to you and me. Grand sunny day in completely brown surroundings. 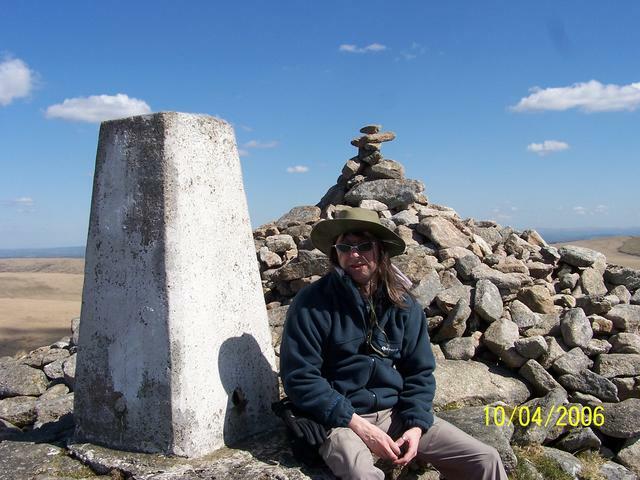 Trig is set high on outcrop and visible for miles - good views. Visited while in the area. 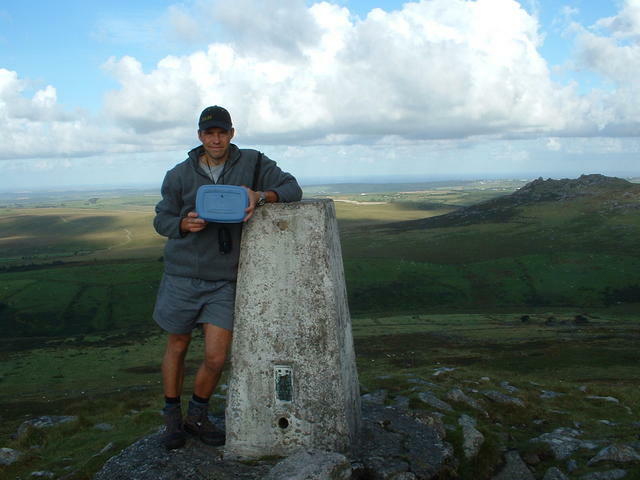 As well as bagging the highest point in Cornwall, we also got another trig and some geocaches on the way. 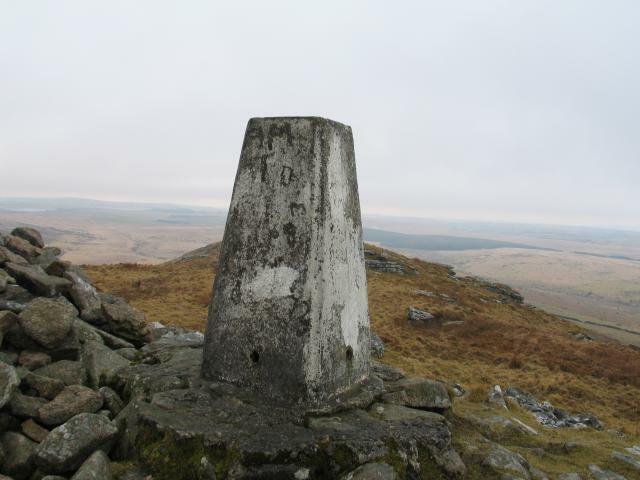 The target for the days walk around Bodmin Moor! 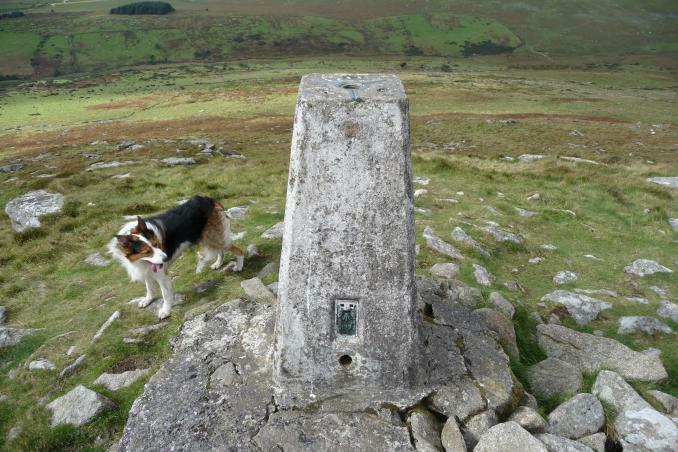 Our intention was to get to the county top, the trig and geocache were here as well. 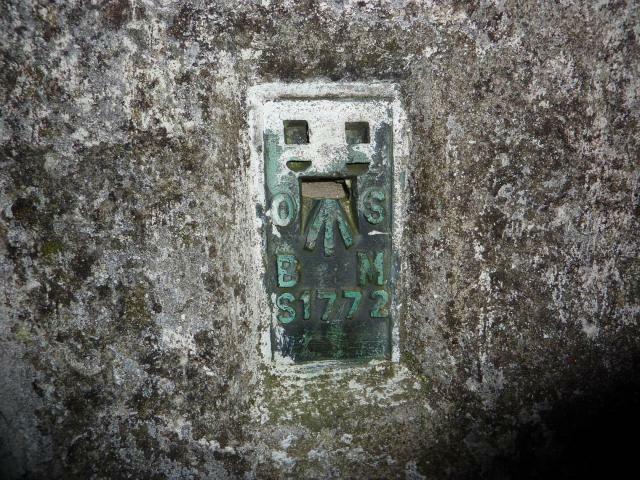 Found whilst doing a rescue cover with Cornwall Search & Rescue Team for the Brown Willy Run. 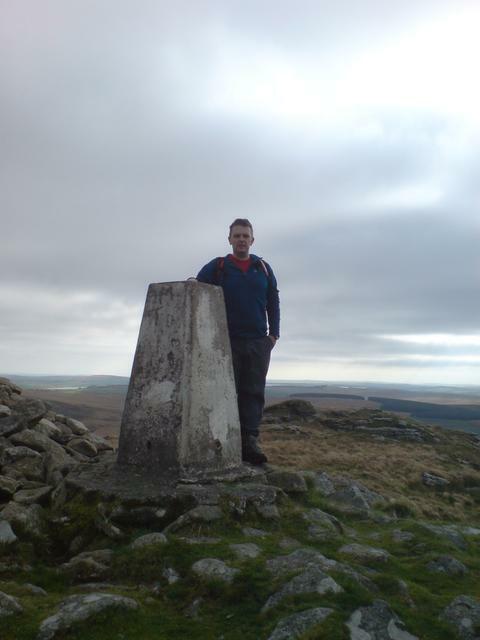 Preferred Rough Tor but still a good summit on a warm dry day until heavy rain when driving back to Okehampton. From Poldue Downs on a very hot day. Could not be bothered to do anything else. 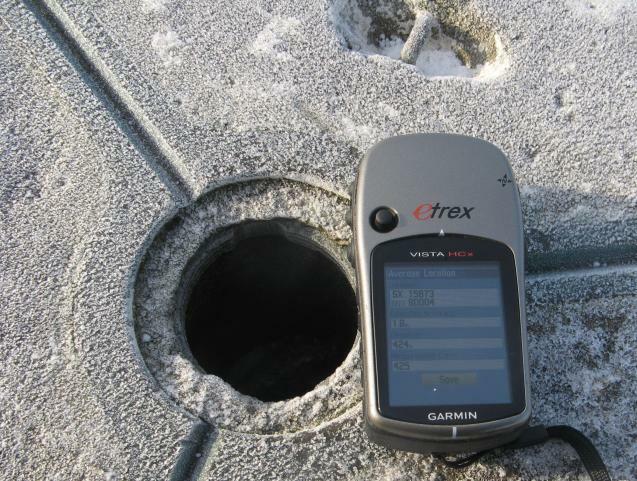 vgc, broken asphalt plug. 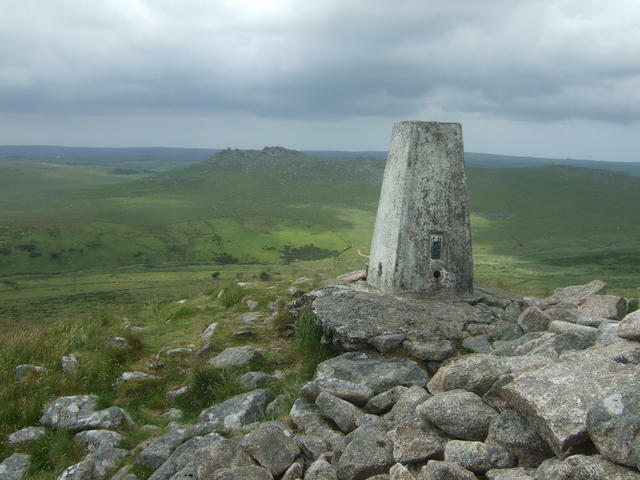 Nice summit albeit outclassed by Rough Tor which I'd been to in 2002. This time took track from W: signs are progressively GOMLy. 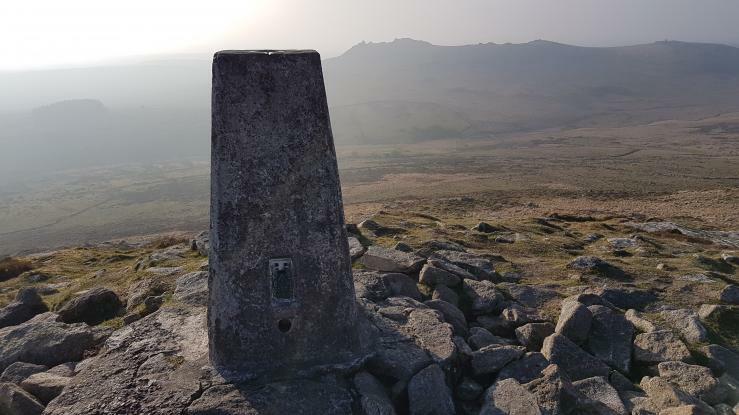 CROW access doesn't seem to have penetrated this far: SSSI: permissive path which seems to come via Rough Tor and is doubtless more scenic, although I followed path back to main track W. Early Sun a.m. no-one about, aother than a couple of other runners on the hill. Lovely view point. 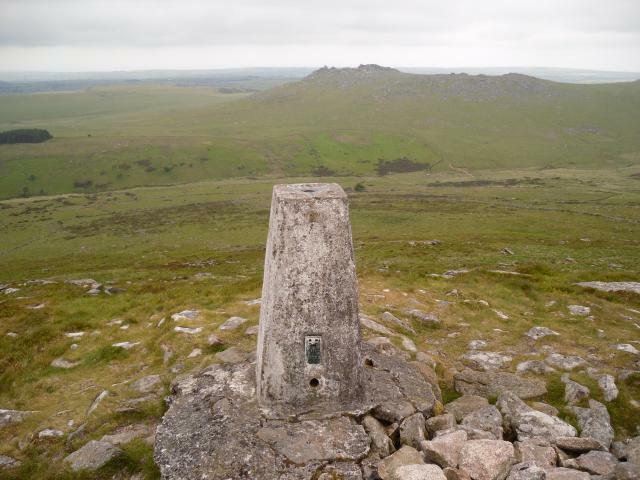 Delightful stroll fron Rough Tor NT car park. 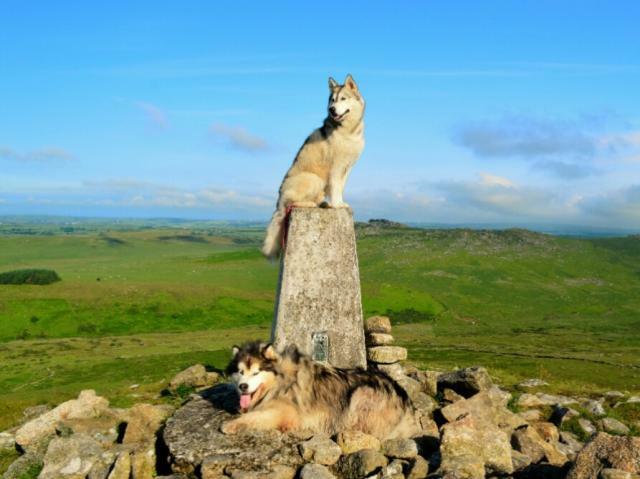 A good walk to a fine viewpoint. Heard my first cuckoo of the year. 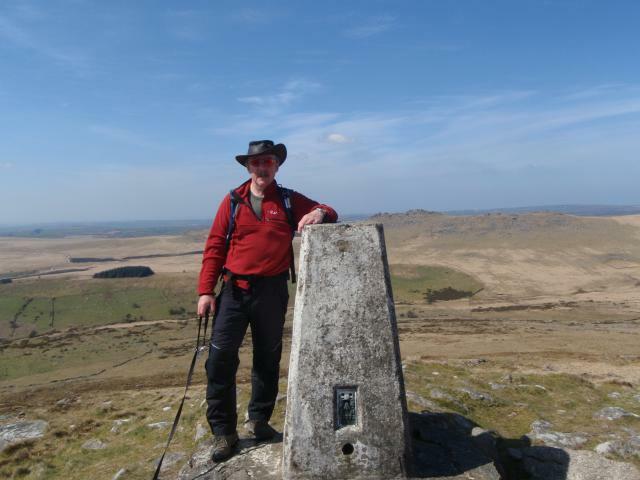 Parked and walked in from near Camperdown farm to County top of Cornwall! 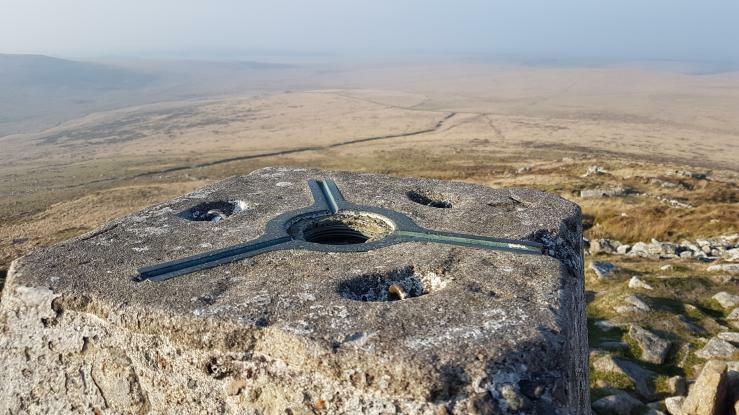 The view from this Trig Point is excellent, no wonder the OS set up shop here. 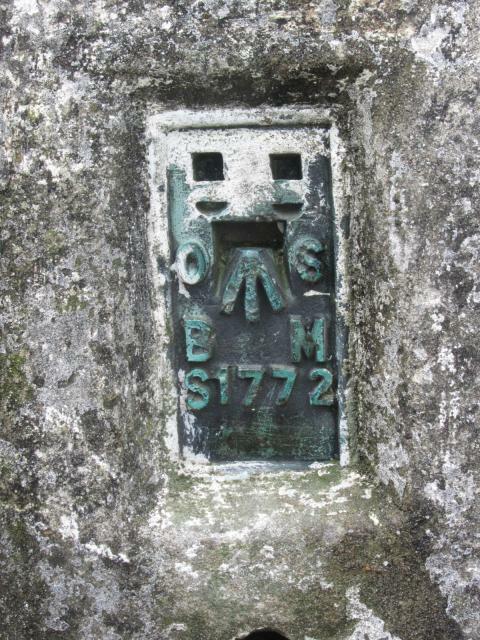 Visited after completing Kernow's Highpoint cache - GC7682. 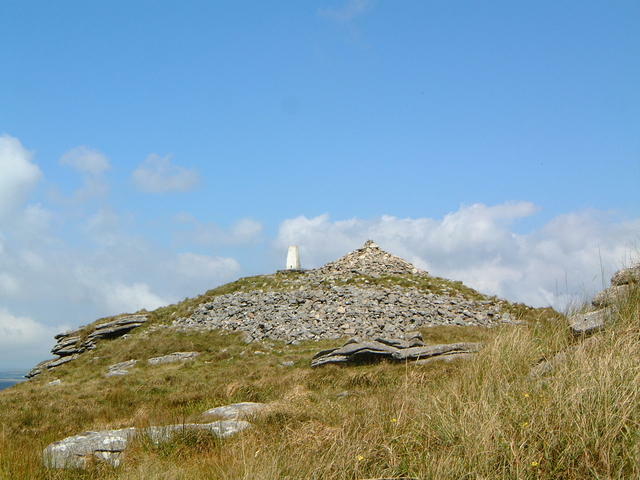 Cornwalls highest point. 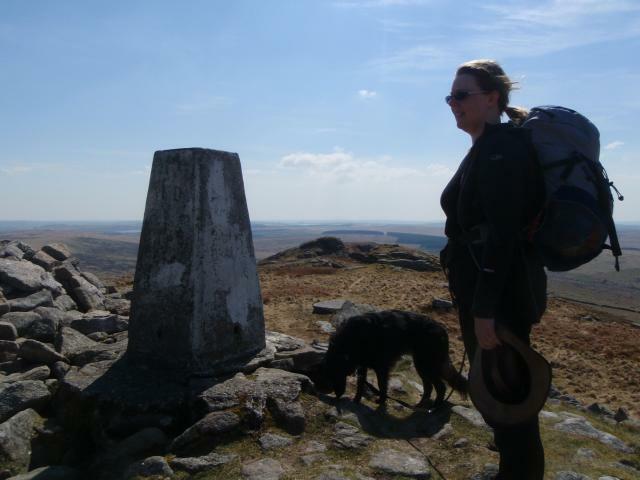 Ascended from the popular car park via Rough Tor. 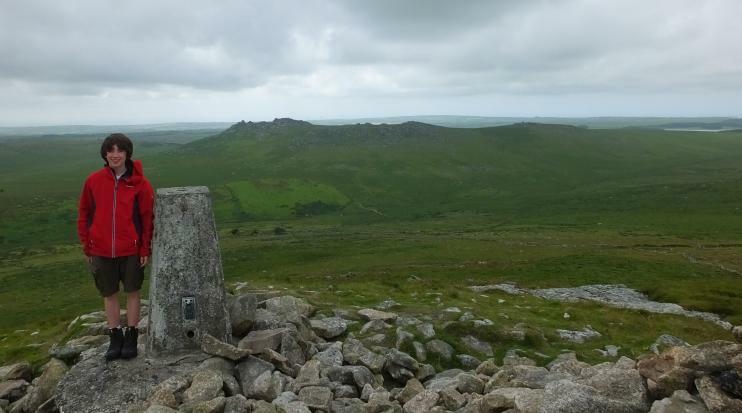 Walked over from Rough Tor. Attempted to engage the two American tourists at the summit in conversation. Mention of Clinton and Monica L immediately frosted that chat ! 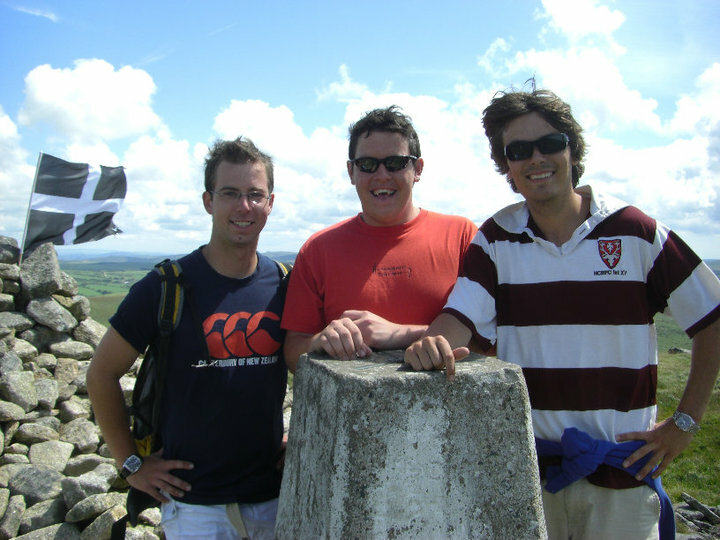 Cornwall County Top. Painted white. 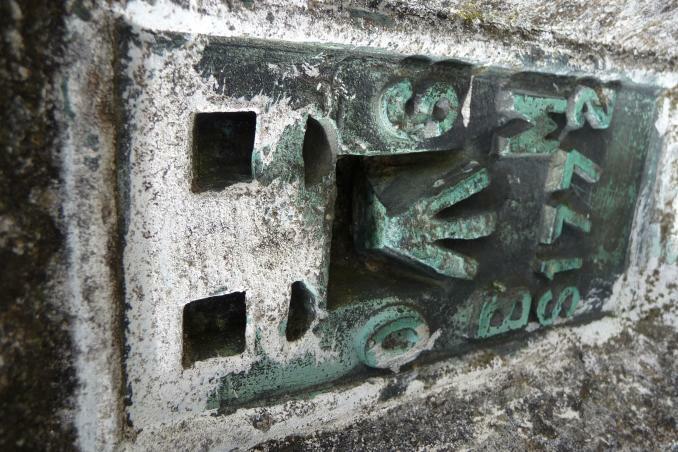 First visit was 1992 when caravaning at St Mabyn. 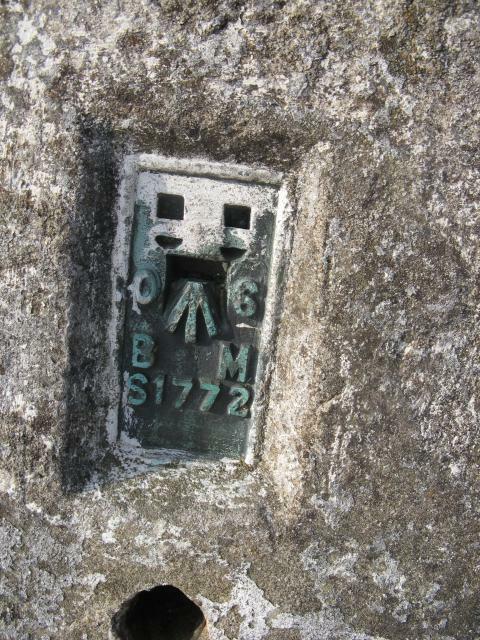 The photo was taken on a re-vist on 19 Sep 2009. 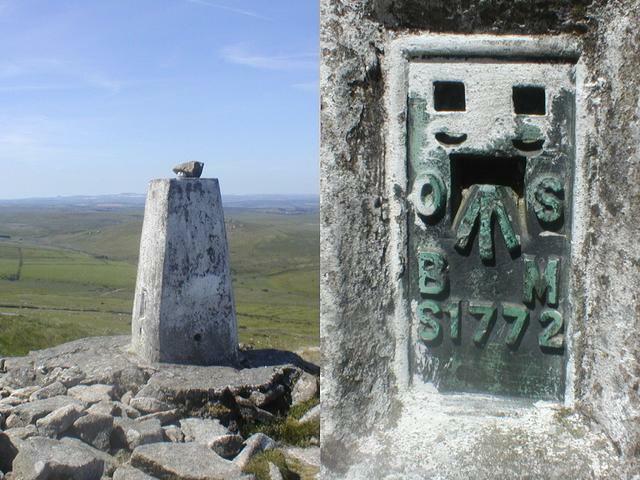 Bodmin Moor - very distinctive. Logging this now in 2012.
delightful name! 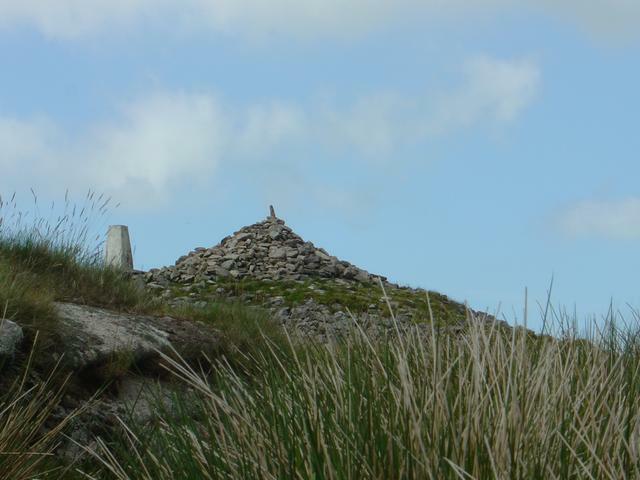 highest point in the Duchy.